Anne, on the right, volunteers for the museum along with 14 others. Each volunteer has his or her own preparation projects to work on while in the museum. Anne told us several interesting things about palentology and palentologists. 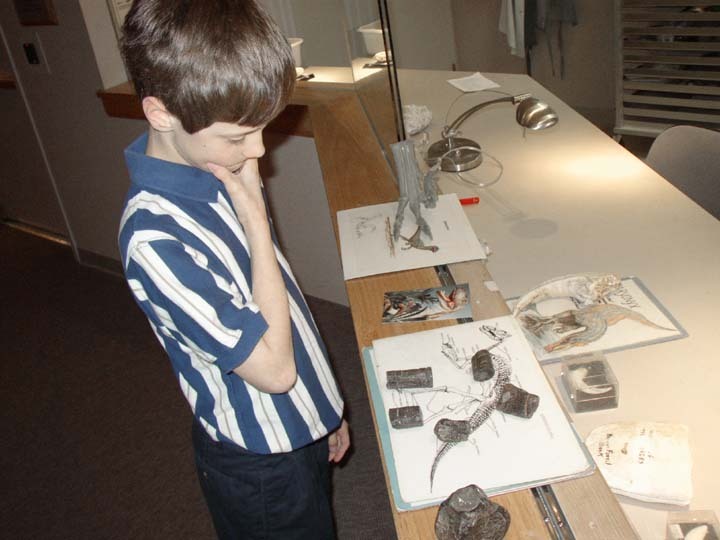 In front of Thomas is a fossil, the stone separated into several segments. 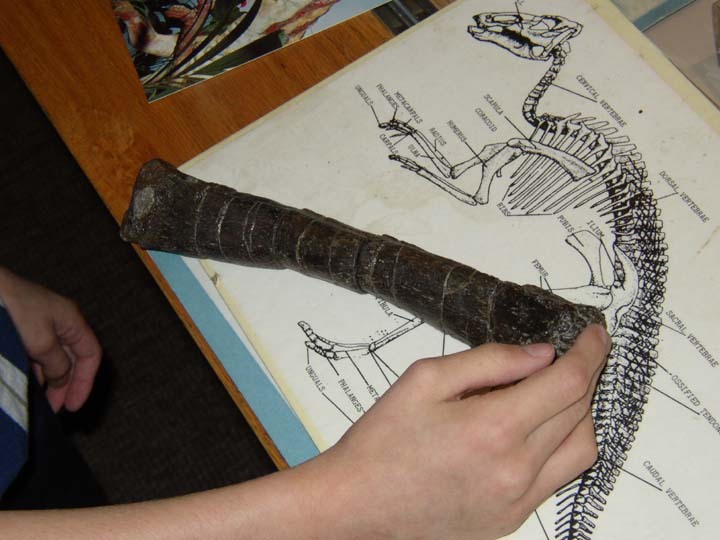 Thomas got to assemble the fossil puzzle - a dinosaur bone! Here it is, assembled - a 3D puzzle. 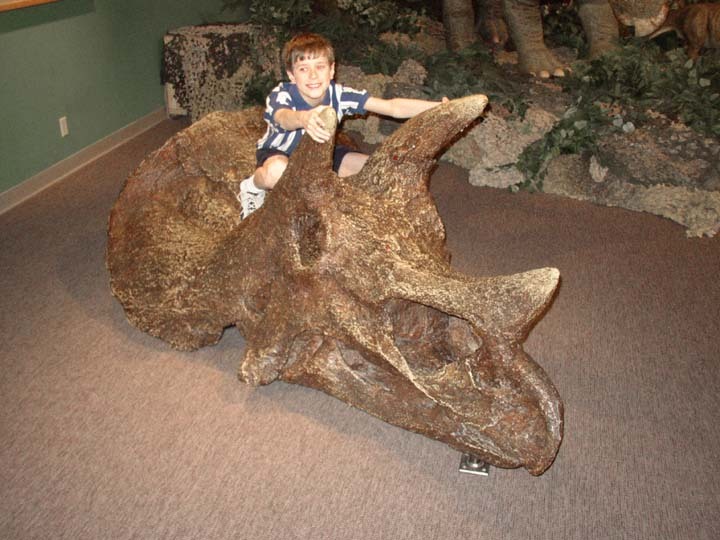 Thomas is on a Tricerotops skull placed out for visitors to touch and climb on. 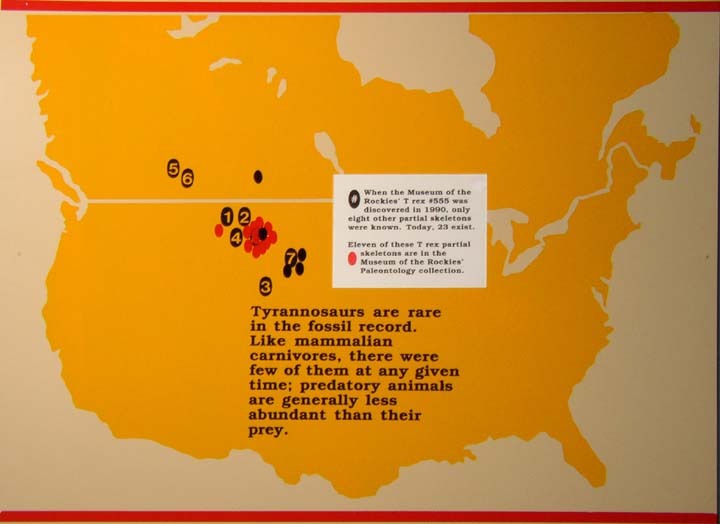 This map shows T. Rex discoveries, with the Museum of the Rockies specimens identified in red. 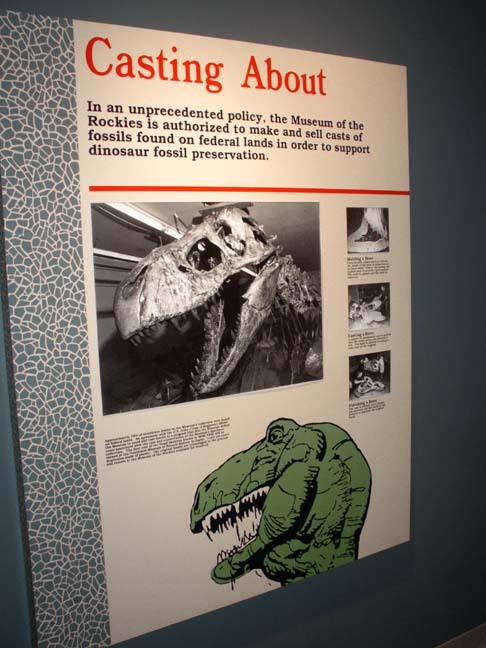 The Museum of the Rockies is a repository of fossils found on public land and operates a casting facility for those fossils to support their work.